"How long is it since you really, REALLY wanted something & went all out for it? What was it?" "I've tried every diet. Why can't I lose weight?" "Why don't diets work for me?" "I need a diet that works! Got any suggestions?" "Is there a secret to dieting? I have tried so many diets and nothing works." Does it seem like you're constantly on a diet? With that in mind, these weight loss tips for the frequent dieter may be what you've needed to finally make the dieting roller coaster stop so you can get off. Have you tried every diet and fad that's come down the pike? You've eaten grapefruit to the point where you can't stand the sight of them. You've given up carbohydrates but still crave sugar, potatoes, and bread. Seeing that it was a losing battle, you gave up on every one. 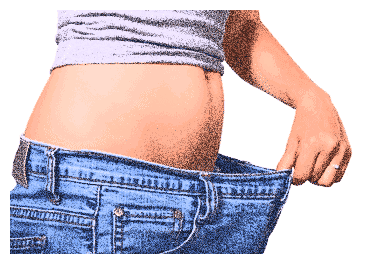 You may have had some success at losing weight, only to gain it back. Let's face it, it gets discouraging when you hear that most dieters will regain the weight they've lost within three to five years. With those kinds of odds against you, you may wonder why you bother. The reasons you keep trying to lose weight may vary. You know you need to lose weight to improve your physical appearance, overall health or to reduce symptoms of disease. You can't fit into your clothes or you have a reunion to attend. There could be any number of other reasons. Regardless of why you want to slim down or how many times you've dieted in the past, if you want to succeed at losing weight once and for all, you may be better served by following the example of those who've achieved their goal and kept the weight off. Look at weight loss as a life change rather than the means to a particular end. You're not merely losing weight; you're making a commitment to change your eating and exercise habits so your health and life can improve. This is a permanent life change. This is the single most important point. It's a permanent life change. Allow this to really, truly sink in for a minute. Understand its meaning and make the commitment first and foremost. Learn all you can about food, the nutrients needed by the human body, and how to provide your body with the fuel it needs, rather than overfilling it with foods that will make it sluggish and unhealthy. Learn to work through frustrations, loss, and stress without turning to food. In many cases, those successful former constant dieters have turned to exercise as a means to release the stresses that often cause people to resort to their old eating habits. Recognize when your body is truly hungry. Discover how to recognize your body's signals to stop eating when you've had enough, rather than continuing to eat until you're stuffed. Focus on your health and fitness, instead of dieting to look good. Instead of dieting for a short term goal - getting into a bikini or looking great for a class reunion - be more concerned about how the foods you eat affect your health. Now get some exercise! Learn to recognize proper portion sizes. Eating correct portion sizes will allow you to eat only the amount of food your body needs. Acknowledge only temporary failure when you blow it. Rather than giving up when you've eaten too much, decide to start again the next day. Seek and allow support from others. Getting a mentor who's a weight loss success, joining a support group, or including a friend to hold you to your goals will help spur you on to success. Who can help you lose the weight and make this life change commitment? These weight loss tips for constant dieters are given with the hopes that you can finally find the ideas that will allow you to break the dieting cycle. You don't have to be one of the many dieters who've failed. You can learn how to make changes in your eating habits to make the weight leave for good. Take your time, learn what your body needs, and then provide the nutrients and exercise to become healthy and happy. Learn how to get back on track after Thanksgiving. If you are guilty of going a little overboard this past Thanksgiving, this program will get you back on track. Learn how to make wise decisions that take your health and fitness into consideration this holiday season. Stay in shape. Learn what protein-sparing modified fasting is and how it can help you to quickly lose the weight you want. The protein-sparing modified fasting diet is highly effective. Learn how to get and stay in shape without the unnecessary equipment and products advertised all over the place. A little patience and creativity will give YOU the results that will last a lifetime. Learn how to make these simple changes and you'll find yourself more in control of what, where, when and how you eat. Prevent overeating and start now.